The English Schoolhouse: D is for DINOSAURS! We read a book that I've had since I was a kid. she said, "Wait! 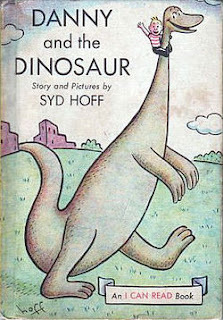 Is it a book about a kid that rides a dinosaur around town?" "I used to LOVE that book!" I spy the letter D.
So we'll do what I'd planned for today tomorrow--that is if no one shows up with a better idea.